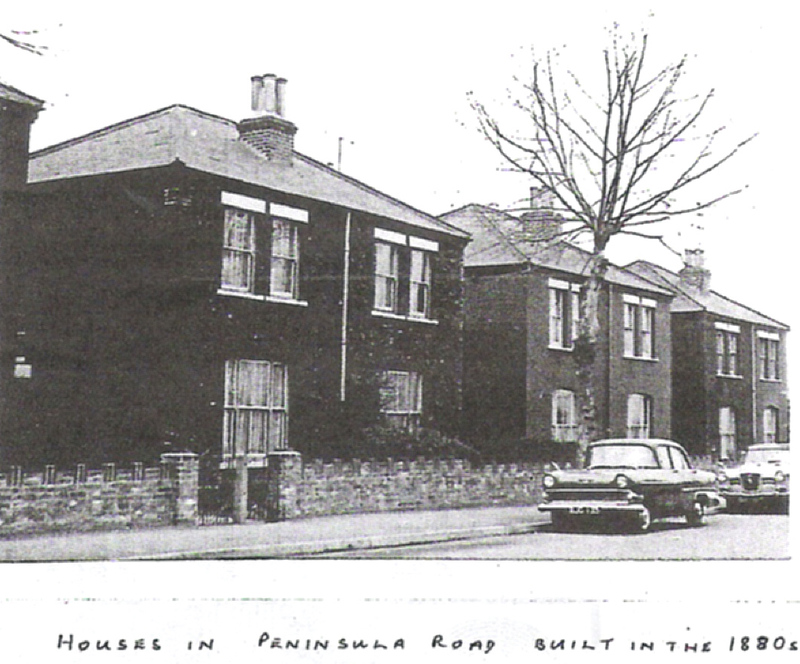 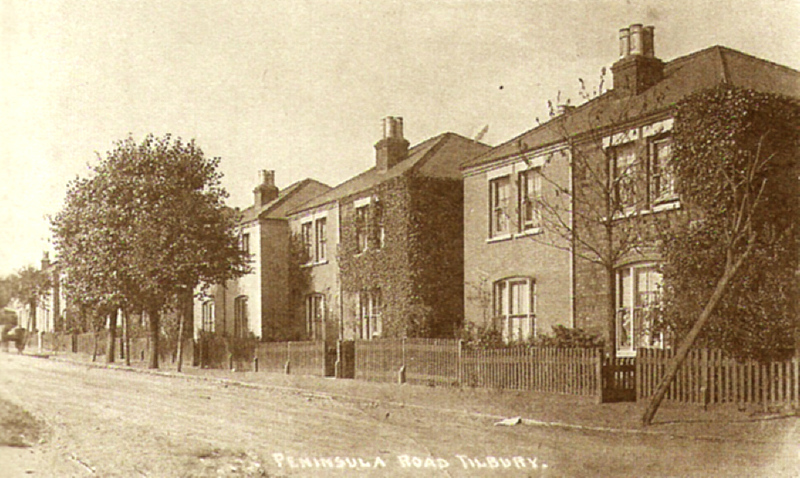 The old hairpin bridge stood close to the Tilbury Dwellings, and the houses of Peninsula Road and Orient Road. The bridge crossed the Tilbury railway lines from the Riverside and to London. 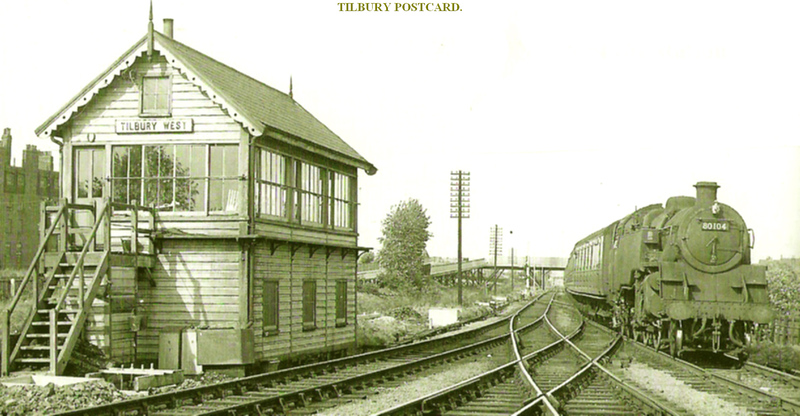 it was very popular with traffic and pedestrians up to the 1980s and was built in the 1860s. 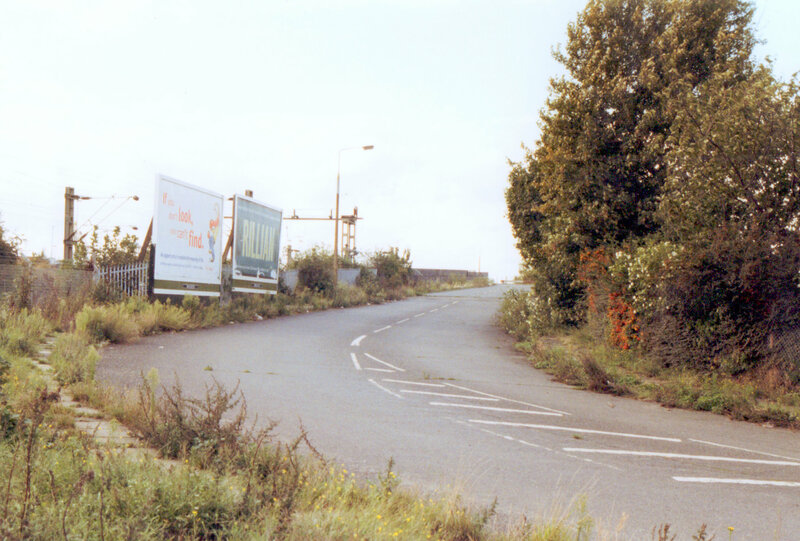 In the 1980s it was considered to be unsafe for traffic as its metal structure became weak, and was only used by pedestrians as the road part was closed. 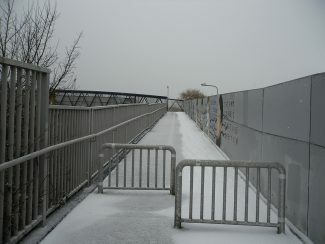 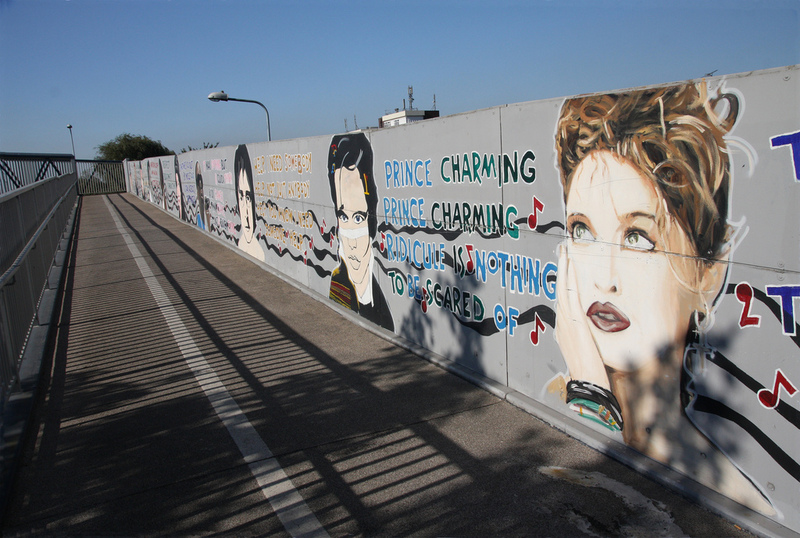 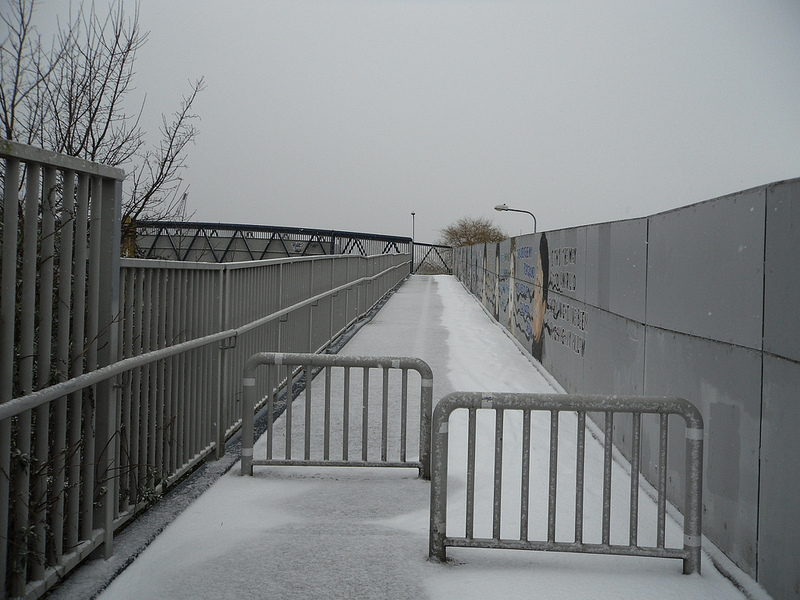 It later gave way to a pedestrian bridge only, which we have now today. 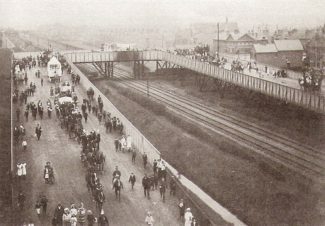 Here we have a early photo of the bridge with some kind of carnival going on. 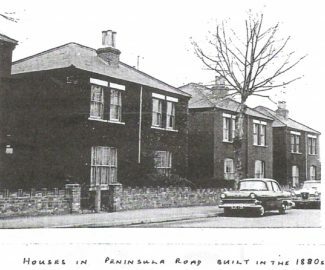 Mr. Paul Johnson I think time must have played tricks with your memory, it was my mother that was killed as a result of the articulated lorry, loaded with tea, that overturned at the top or the Hairpin bridge on Tuesday August 4th 1959. 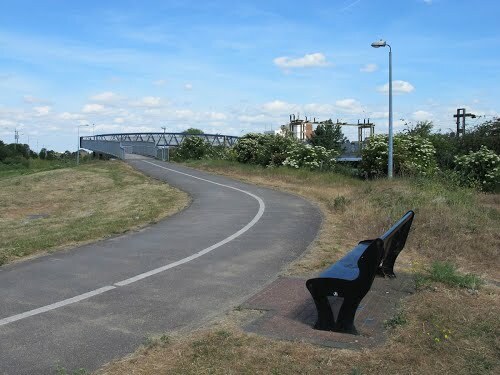 My main memory of the hairpin bridge relates to an accident during the late 1950s when the mother of a very good friend of mine at the time (Johnny Nicholson) was killed when a number of tea chests fell from a lorry negotiating the hairpin bend and crushed her. The Nicholsons lived on the corner of Gainsborough Avenue and St Chad’s Road at the time.